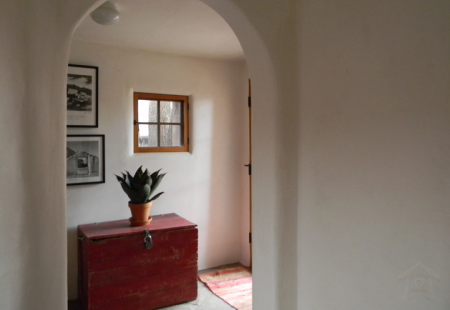 A Taos 2 bedroom historic adobe, restored and upgraded while keeping all the original charm of 1905! 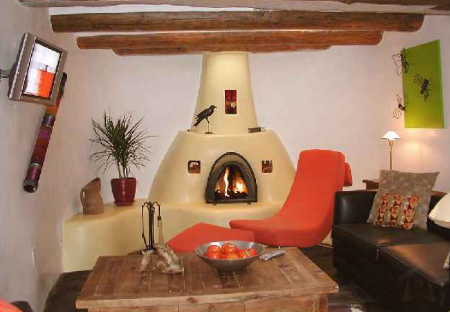 Only one block from world class restaurant, "El Monte Sagrado" with upscale lounge, live music, dancing and a favorite gathering spot for Taos locals. 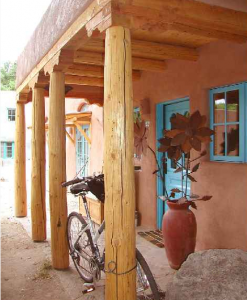 An easy walk to Taos Plaza, this very unique Taos vacation rental was originally the family chapel whereby each child was baptized, worshiped and was married. 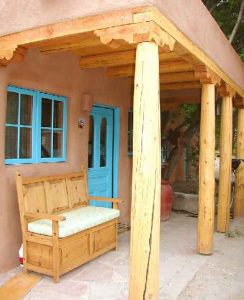 The original family added a casita to the compound as each child left the nest to marry and move into their own private quarters. There are 4 Casa Encantada vacation rentals available for larger groups up to 12 who want separation with close proximity. 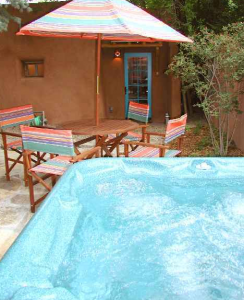 Casa Encantada 1 offers an exceptionally lovely, professionally landscaped, adobe wall enclosed private patio/yard with private hot tub and ancient cottonwood shade trees. 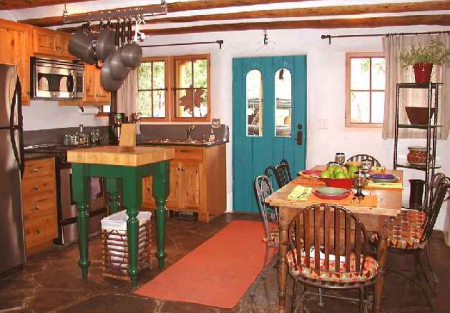 The current owner has transformed this special space to make it one of the most popular 2 bedroom 1 bathroom casitas in the town of Taos, New Mexico. 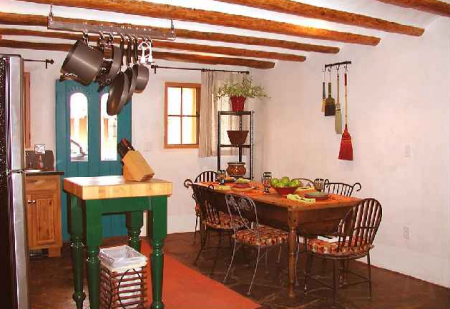 Come and stay with us at Casa Encantada #1 for "upscale southwest country charm" with all the amenities you could want for Taos lodging memories to last a lifetime.